These convenient, noise-attenuating ear plugs are ideal for those high-decibel procedures. 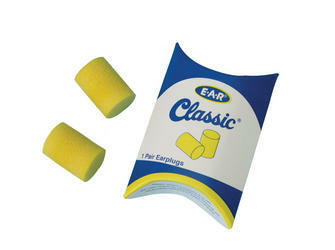 The self-adjusting, expandable foam makes the ear plugs comfortable for prolonged usage. The ear plugs are latex free. Avail­able in easy-access dispenser box of 200 pairs. One size fits all.